GM has tested dealership initiatives at its IT innovation center outside Atlanta, including a mock showroom and living room. ATLANTA — General Motors is testing technology that could let the automaker monitor dealership traffic in real time and give salespeople the ability to see when customers are using their smartphones to cross-shop another brand while on the lot. The system, under evaluation at Cadillac's headquarters in New York and​ at GM's information technology innovation center near Atlanta, is one of numerous dealership initiatives spawned by a transformation of the automaker's IT operations that started in 2012. Such an approach, already used by some shopping malls and hotels, could give GM and its dealerships an unprecedented window into customer behavior in the showroom while also raising questions about consumer privacy. Among other dealership-related projects since GM began insourcing its IT operations five years ago are website redesigns, a revamp of the GlobalConnect dealership portal and pilot programs such as virtual reality in showrooms. Many of the initiatives have been tested at or produced by a lab at GM's IT innovation center here in Roswell, a suburb of Atlanta. The lab features nearly a dozen flat-screen TVs that help explain the areas, including a mock dealership showroom and living room used to simulate how consumers might research vehicles and brands from their home, including through voice-activated assistants such as Google Home. "Really, the intent of this is to showcase IT capabilities that we deploy and that dealers use in their storefront," Pat Thompson, IT director of global sales, marketing and customer experience, said during a tour of the mock showroom. "What we're trying to do is emulate the end-to-end process of a dealership." 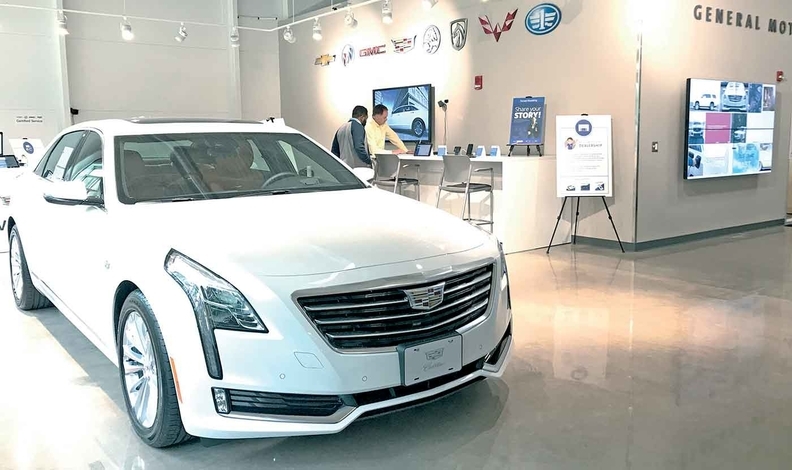 The mock store features a Cadillac CT6, information stand and virtual reality area to take a simulated look at the car in different colors, trims and options. There's also a service-lane scheduling area as well as a back office. The mock showroom also is a tool for GM's IT employees, many of whom never have worked at a dealership. The lab and GM's other IT operations across the country are working with dealers on better ways to streamline processes and programs. Customers may never know about many innovations coming out of the centers because they're internal or dealership systems. One of the programs affecting dealerships the most has been the redevelopment of GM's Global Connect system, which controls ordering, inventory, incentives and other interaction with the automaker. IT engineers are working with dealerships across the country to fine-tune the system a year and a half after its official launch. They have reduced the number of tools in the portal from 200 to 150, with more expected to be axed in the coming months. "We're at an inflection point," Thompson said. "We could lose 20 to 40 percent of them, and that's the right number." Bowsher, who owns Carl Black Automotive Group in Kennesaw, Ga., said he and the staff of his Buick-GMC store — located around the corner from GM's IT center in Roswell — have worked closely with company officials on the system. 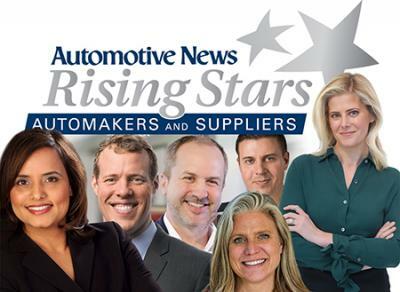 "It's more streamlined, a lot more user-friendly, and the openness of GM's IT to listen to dealers and open up is way better than it has been in the past," Bowsher said. Randy Mott, GM's global chief information officer, calls the IT overhaul that makes it possible for the company to even consider using this sort of marketing tool "next-generation innovation." "It was really about, how do we enable the business?" 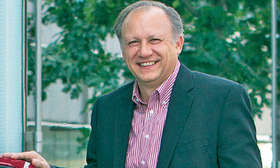 Mott told Automotive News. "We weren't doing enough innovation to support what was happening — whether it was the dealers, the customers, internal employees or folks doing engineering on vehicles." Uwe Ellinghaus, global Cadillac's chief marketing officer, said the company has made "no commitment" to widely implement the system, which uses proprietary technology from Cisco division Meraki. It works by observing the Internet browser usage of visitors whose smartphones are searching for or are connected to a dealership's public Wi-Fi. Ellinghaus said the program started with some doubting that Cadillac House, a public area of its New York City headquarters, would generate sufficient traffic. He acknowledged the potential privacy concerns and said GM is taking that into consideration for any potential expansion of the pilot program. 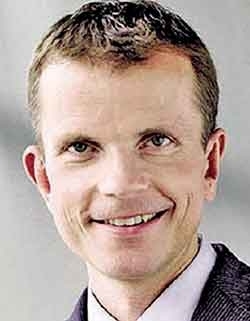 "That's certainly the aim, to gain learning to allow us to utilize the information at dealerships," Ellinghaus said. "But, of course, we need to respect privacy in some areas." GM is in the process of getting as many of its roughly 4,100 U.S. retailers that operate dealer websites as possible to connect their dealership management systems to the company's online applications such as service scheduling. The idea is to create continuity across brands for customer-facing websites and apps. So far, 32 percent of the dealerships have agreed to that integration. Another 46 percent have a "stand-alone" configuration for appointment hours, available services and other features but are not fully DMS integrated. Another option offers an entry-level request form that provides leads for dealers to contact a customer. The automaker isn't looking to take control of dealership websites, given that many dealers also have non-GM franchises, but rather implement common tools for services such as scheduling. For several years, IT officials have worked with dealerships to integrate their DMS with a servicing tool that allows customers to schedule appointments online without any human assistance. "We're really ramping up and pushing and focusing on DMS mode because it's great for them, and it's really great for customers," Darren Meeks, a domain director whose team runs service experience and e-commerce operations, said during a demonstration of the service tool at a GM IT center in Austin, Texas. "We want to get rid of the​ request form because this is ideal," Meeks said. "The majority of our dealers are using a DMS that has the ability to do this." GM has partnered with seven DMS providers, including CDK Global and Reynolds and Reynolds, in the U.S. to integrate the systems. Each dealership still must sign off on the integration. Zach Grantham, a GM senior development manager responsible for a lot of the service-lane activity, said the team has consistently worked with dealers and molded options of the tool to fit their critiques — from making sure lunch breaks aren't included in scheduling times to customers being able to choose service technicians by their photos. 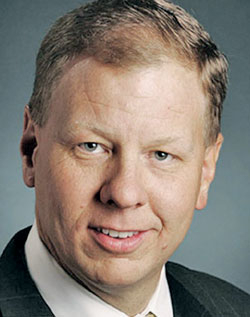 "Every GM dealer is different," Grantham said. "There's a step-by-step configuration approach that gives dealers options." Mike Bowsher, co-chairman of the Chevrolet National Dealer Council, said the IT operations have been much more open to dealer input on the systems in recent years. "They're more user-friendly," Bowsher said, "and they want to work together with the dealers because they know if the dealers don't believe in it, they're not going to use it."